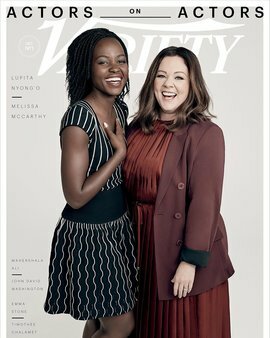 The Hollywood actors, Melissa McCarthy and Lupita Nyong’o are the cover stars for Variety Magazine’s annual ‘Actors on Actors’ issue. In this issue, the stars talk about being a woman in the industry, female presentation, the difference doing a dramatic role and how women were portrayed in Black Panther. Desire 1709 Fashion Wants Us To Shimmer And Shine This Christmas & We Are Here For It!